So I am writing this quick guide to help you with your booking of your hog roast caterer for your special event. these points are what you need to think about and ask questions from the company you might book with? we have had over the years many a person/company phone a few days before there events asking us if we could help them as the company they have booked with have let them down. Question: Ask where the company gets there pig or lambs from ( not all pigs/lambs are equal in quality and taste, you pay for what you get. we at Dukes only use top quality free range meat. Question: Make sure the company you are booking with are fully insured and have a gas safe certificate last thing you want is the machine catching fire at your event. 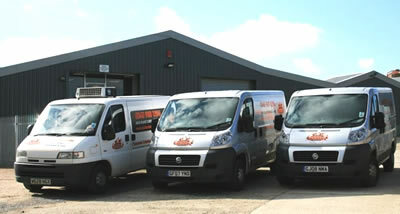 We at Dukes have our machine tested and serviced each year and have all our certificates. Question Make sure they are registered with the local authorities. and run a full Haccp and check the food rating. if they are not, then they are not professionals and are just earning a few extra pounds spending money at the weekends. We at Dukes only do this a full time job. 2. Cooking your Hog/ Lamb in a tray animal will cook in the tray over gas or charcoal and over the cooking period. the top of the pig/lamb can dry out as it doesn't based itself when cooking, crackling from underneath will be soft and rubbery as the pig has sat in its own fat. 3.BBQ Cooking your pig/ lamb over coals will be very tasty when the fat hits the coals and the smoke from the coals works its way into the meat over the cooking period, this will take a long time to cook anywhere from 8hrs to 24hrs . pig will not have very good crackling underneath, and it is easy to dry the meat out over hot coals. hot coals will take quite a long time to cool down . Most grill manufacturers will tell you that you don't really need to use a rotisserie because a grill with a lid does the same thing, provides even roasting. The standard view of cooking is to move the heat around the food, not the food around the heat. These guys probably can't tell the difference between a good brisket sandwich and a Big Mac. There are so many advantages to rotisserie cooking. Meats are generally juicier, self-basted and slow roasted. Of course, there are a few differences between grilling and rotisserie cooking that you need to be aware of. The first place to start is with the instruction manual for your particular grill; beyond that, remember that while a lot of grilling is done over a very hot fire you need a lot less heat for the rotisserie. Starting with your equipment, you will need a Rotisserie attachment for your particular grill. I suggest making sure you get a good one with a powerful motor. There are an increasing number of grills that come with rotisserie attachments and some even have a special rotisserie burner. You can even get an attachment for your charcoal kettle grill that works very well. The rotisserie burner is a nice feature because it automatically sets you up for indirect, even heating. Moving on to the fire -- you do not want a hot fire directly under the food you want to spin. Many items will be large and hence will get very close to the fire. If you are using a charcoal grill, build the fire around the edges so that it overlaps the food by a few inches but has no coals directly underneath. If you are using a gas grill, keep the burners low. Also, place a drip pan under the food to avoid flare-ups and to keep the direct heat at a safe distance. If you are using charcoal you will probably need to add more burning coals every 30 minutes. The most important thing to remember in using a rotisserie is balance and security. Place the meat on the middle of the rotisserie skewer and fasten as firmly as you can. If you are cooking poultry remember to secure the wings and legs in as tightly as possible. If parts are loose to flop around as it turns you can get burning and it can through off the balance. Many rotisserie units have a counter balance to help you get it just right. I suggest that once you have the food secured to the skewer that you roll the skewer in the palms of your hands to make sure you have a good balance. Try slowly rolling it to see if you have a heavy side. If the spit is unbalanced, you will put stress on the rotisserie motor and will make one side turn slower than the other causing uneven cooking. Adjust until you have a good balance. As for cooking times, your best bet is a meat thermometer. Cooking charts might be a good guide but differences in wind, air temperature, equipment, etc. will throw these calculations off. The thermometer will tell you when the food is cooked. Best guess just won't cut it. If you set up your rotisserie so that the top of the item is moving away from you and place the drip pan slightly towards the front of the grill then you will have an easier time scooping up the drippings for basting.